Significantly, the Naresh Goyal-promoted full-service carrier has been in the red since the March quarter of the previous fiscal. Facing severe liquidity crunch, the airline has been defaulting on payment of salaries to its senior staff, including pilots and engineers since August as well as to some of the vendors. Instruments with 'C' rating are considered to have a very high risk of default regarding timely servicing of financial obligations, as per the agency. 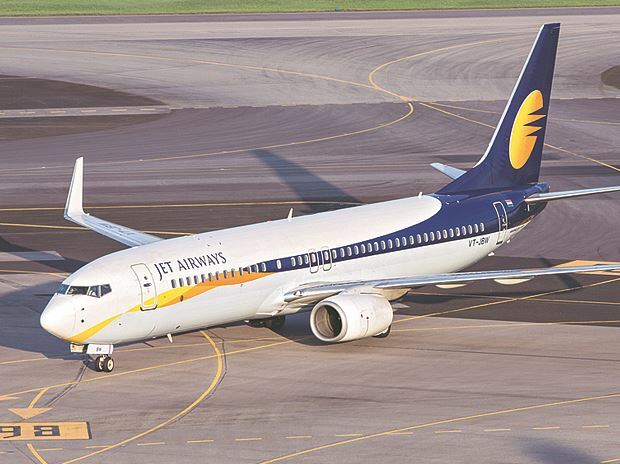 These long-term ratings of Jet Airways were assigned by Icra to Rs 6.98-billion NCDs programme, Rs 49.7 billion of long-term, Rs 6.45 billion of long-term, fund-based facilities, and Rs 7 billion of long-term and non-fund based facilities. According to Icra, Jet Airways has large debt repayments due over the next four months (December-March) of FY19 (Rs 17 billion), FY20 (Rs 24.44 billion) and FY21 (Rs 21.67 billion). Airline chief executive officer Vinay Dube reportedly had last month told his pilots that the airline was expecting to have a new investor on board in the next two to three months. It has also sought $350-billion soft loan from its investment partner Etihad Airways to tide over the liquidity crisis for the time being.